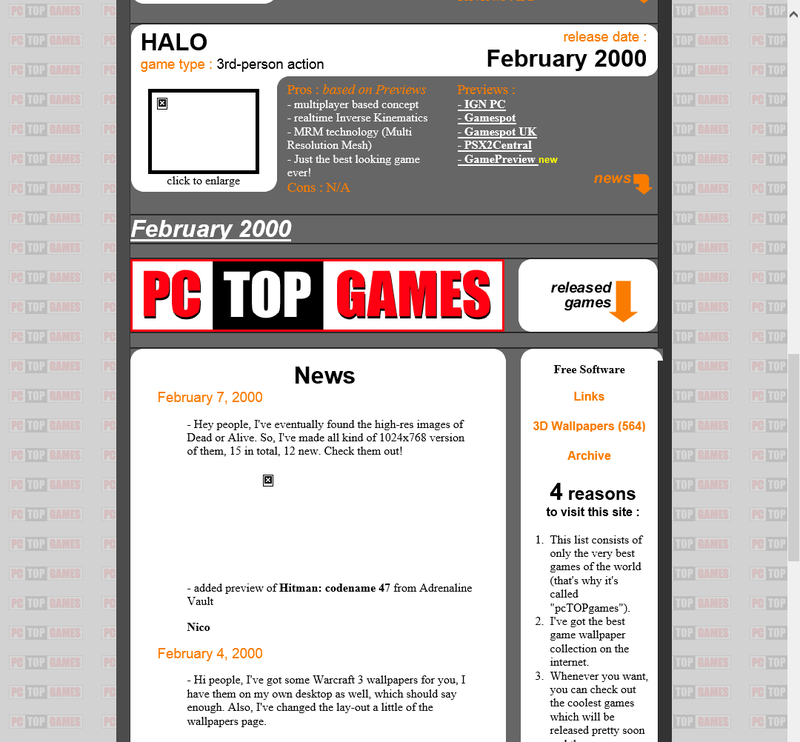 Back in 1999 GameWallpapers.com actually started out as PCTopGames.com. 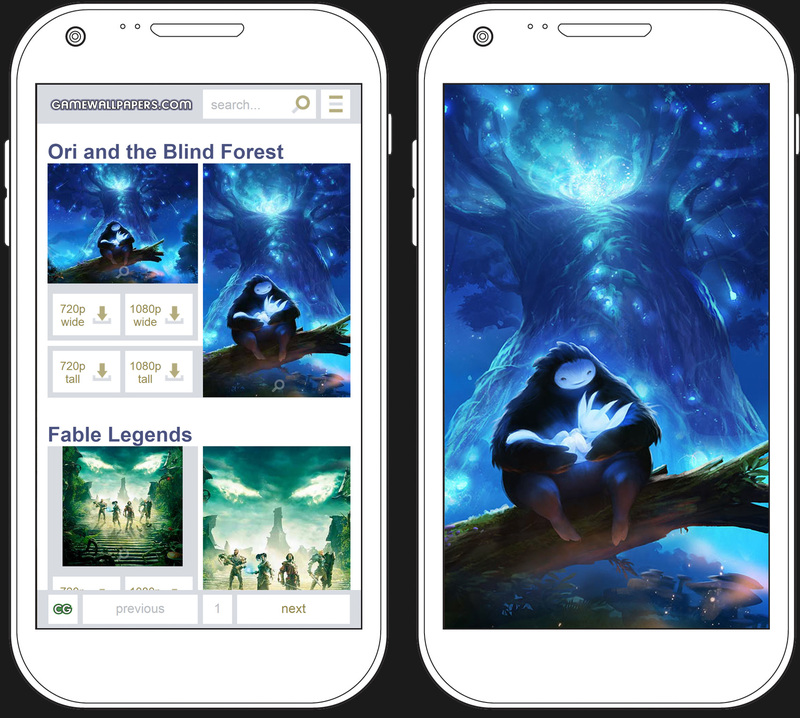 It was an idea somewhat similar to Metacritic, but it had wallpapers on the side. Back then all wallpapers were in 1024x768, while official game sites usually did not go further than 800x600. 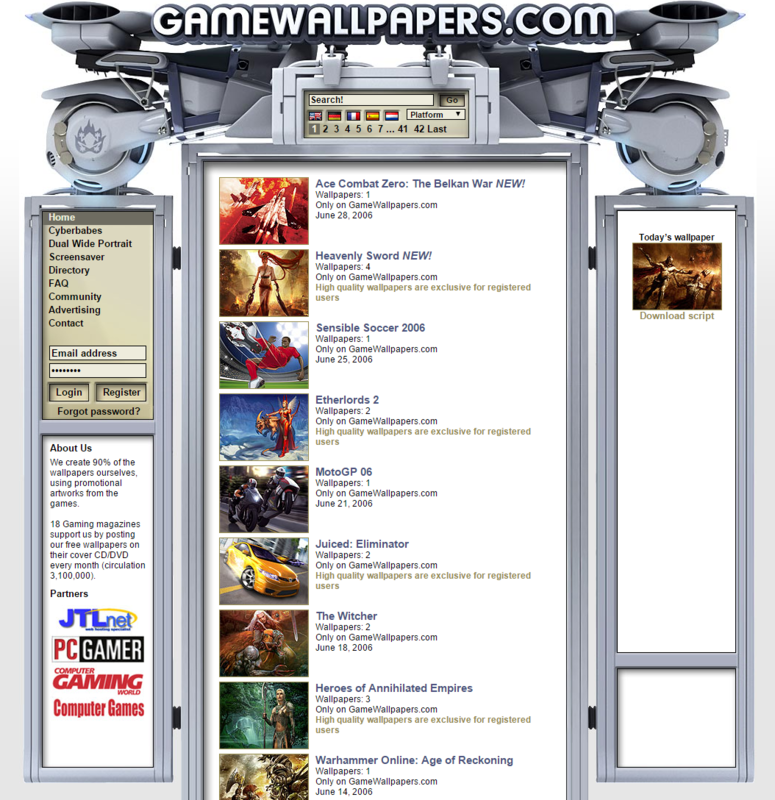 2000 - GameWallpapers.com was born! The statitics of PCTopGames showed that 2/3 of the visitors came for the wallpapers only. Then the decision was made to register gamewallpapers.com and forward the pctopgames.com visitors. GW was born! Fun fact, GameWallpapers.com had since the beginning CG wallpapers from artists, the early version of CGWallpapers.com. They disappeared for the next 6 years though. 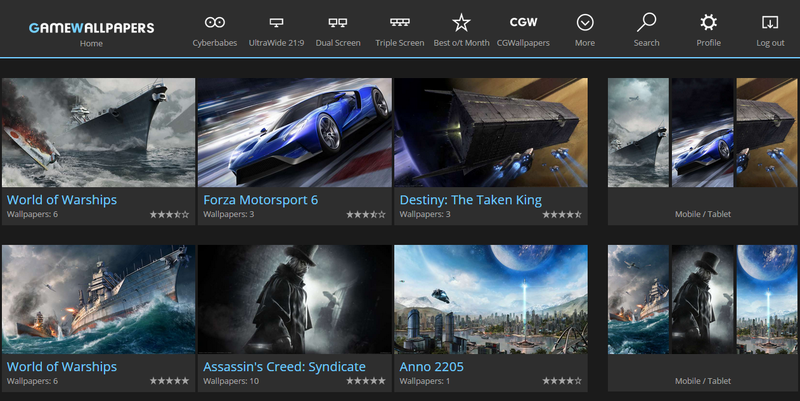 GameWallpapers.com joined MGON which was a network of gaming sites. The design had to fit all their other sites. You can browse that red design today with this Web Archive link! MGON went bankrupt and I almost lost the URL and the site to them. A contract breach on their side nulled the agreement and the site was back in my hands! It was time for a new look, designed by Anton Wiklund and me, and we used it for nearly 10 years! GameWallpapers.com before MGON had CG artwork. That had to come back and this time with wallpapers based on the original sources straight from the artists themselves. As the main site was hard to use on a mobile phone, a mobile site was created. Showing mobile thumbnails only. It was inspired by the mobile phone photo galleries and Windows 10. Everything is blacked out to make it easier to view thumbnails, especially from dark wallpapers. The full width is used for the thumbnails to make them as large as possible. Three in a row ended up most comfortable to browse trough. The current design still has all the wallpapers going back to 2000. Click on Last page on the front page to find them.